Earlier this fall, Bill Burnett and Dave Evans sat down with KQED journalist Thuy Vu. 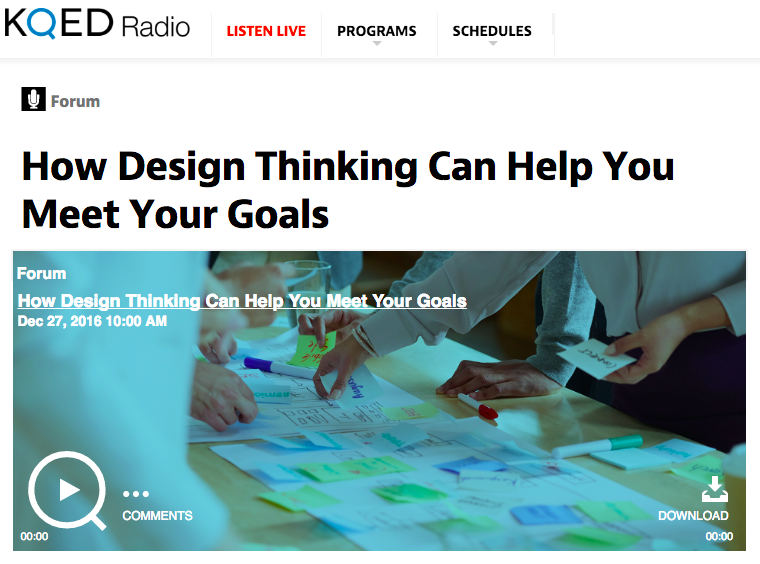 They were invited back as the year came to a close to discuss how Design Thinking an help you meet your goals with Michael Kransy on Forum. Download or listen to the full broadcast here.